While it&apos;s easier than ever to find an artist to find a producer, keep it a buck: tracks always feel different when they come from the cream of the hip-hop crop. Names like Da Beatminerz, Dame Grease, Lex Luger, Thelonious Martin, Scram Jones, and araabMUZIK hold weight in this industry as working with some of the biggest and brightest acts to step to a mic. Getting beats from any of these producers, for many artists, feels like an unattainable dream, but with License Lounge, that dream can turn into a reality, as all of the aforementioned producers, and many others, are part of the service. During a recent lull in taping Complex&apos;s Open Late with Peter Rosenberg, we got a chance to speak to araab, who is the musical director for the weekly series, about what License Lounge brings to the table. 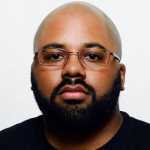 Araab&apos;s pedigree as a producer is up there; Swizz Beats recently said that araab&apos;s the only producer who could take his place, and just strolling through his production credits, you can see why: he&apos;s produced for most of the Dipset crew, as well as vets like Styles P, Fabolous, and Royce da 5&apos;9. He even produced Joe Budden&apos;s 2016 album Rage and the Machine, and carved out a unique niche for himself via his live MPC performances. It makes sense that License Lounge would partner with araab to help bring their message to the masses. During our chat, araab speaks on how easy it can be for rappers to turn a random instrumental they find online into a viral hit. "Right now, everything is on YouTube, man. It’s like we wanna bring the authentic music here. We want this place to be the place you come to purchase the official records, real beats from us, not replicas, stuff that people make that’s kind of like our style, whatever it is." The tracks are getting out there. License Lounge hand-picks the producers that can sell their tracks via the website, and artists are able to license them in a number of ways. The site also works on pitching and securing licensing deals for the producers on their service; we&apos;re told that EA Sports licensed a bunch of tracks for NBA Live 2019. Producers can also do more than just sell their fully-formed beats; araabMUZIK himself drops one soundkit a month, with sounds and drums from his solo projects. "There’s nothing out there like it," araabMUZIK says, "and I feel like producers need to have something like this [for] people that can’t have access to us. [They can] have access to our music at a reasonable price." And that&apos;s the real key; araabMUZIK, who confirmed that he&apos;s currently an independent artist, is able to not only work with signed and established acts (he&apos;s got material on Swizz&apos;s forthcoming album, Poison, and some new music with Rick Ross), he has the ability to, as he says in the above "Future of Music" clip, collaborate with any one across the globe who has access to License Lounge. "There’s no middleman," araab says. "There’s no nothing, you know what I mean? It’s just boom, right there and then." The best part? The ease of use. "You’re able to just get new beats," araab explained. "That’s the main focus; the artist wants real tracks [from] these [producers], and sometimes they don’t have connections to get them or anything like that. So you don’t have to go through managers. You just go on the site, browse through the beats, pick whatever one you feelin&apos;. It’s kind of like shopping online. For artists, this is like a beat mall." Araab chuckled after that comment, but it&apos;s an actual fact. It&apos;s almost like Amazon for people searching for hot instrumentals, but instead of having to cross your fingers over getting sent a fugazi track, you&apos;ll be able to cop that heat with the comfort of knowing that you&apos;re dealing with acclaimed producers and real heat that came from their studio. There&apos;s truly nothing out there like License Lounge, and like araab said, it&apos;s without a doubt the future of music.